A top developer here announced the groundbreaking within the next two months of a PHP2-billion high-rise building, the newest attraction to dot the skyline of this city, gateway to the Bicol region recognized as one of the fastest-growing and most competitive cities in the Philippines. Rouen Paz, vice president of Taft Property Venture and Development Corp. announced last week. Taft Property is one of the business ventures of the Gaisano family-owned Viscal Development Corp. (VDC) which is prominent for its nationwide retail chain of Metro department stores, supermarkets and hypermarkets . “We are now in the process of fine-tuning all the necessary documents and permits to prepare for construction of the ‘condotel’ (condominium-hotel) within the podium parking area and retail spaces of Pacific Mall,” said Paz. The three-tower high-rise called Horizon Plaza Legazpi will be located in the 3,000-square-meter parking area along the Landco Business Park. It is at the heart of the city’s business center at the corner of the circumferential road in Barangay Bitano. He said each building in the three-tower high-rise will have “studio-type condominiums” consisting of ten stories. Paz said the project will initially construct 200 units but after full-scale completion of the three towers, the design is for a total of 600 to 900 units while the car park building for the venture will provide space for 200 cars. He said Taft Property has decided to establish the big project in Legazpi City because different business organizations recognize it an investment haven and a world class business site in the Bicol region. Paz said the city is the home of regional government offices as well as the center of transportation and education in the entire Bicol region, attributed to the presence here of the Bicol University (BU). Established 47 years ago, BU is the premier state university in the Bicol region with a population of 26,352 scholars as of 2015-16 . It is known as home of topnotchers in the fields of accountancy, engineering, midwifery, nursing and social work. Paz cited the influx of new investments in the city and how it hasincreasingly become a favorite of tourists. Tourist arrivals increased by 45 percent in 2015 compared to 2014 with a total of 976,396 visitors recorded in 2015 compared to 666,210 the previous year. City tourism data show that Legazpi, which is touted by the local government as a “city of fun and adventure,” has an annual average of 35 different types of gatherings such as conventions, seminars and conferences. 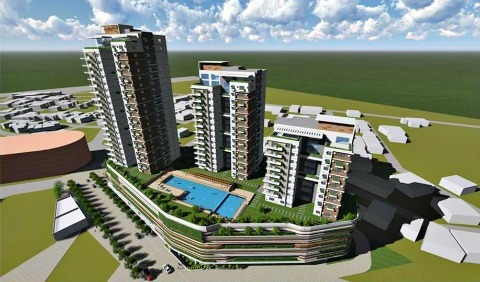 City Mayor Noel E. Rosal said Horizon Plaza Legazpi would be “another land mark development “in this city that could offer comfortable rooms and secure place for clients seeking to acquire a condominium unit. He said the project is very timely because the soaring high cost of retail estate in major urban areas is providing prospective clients the choice of buying a condotel unit rather than a residential lot in satellite cities like Legazpi City.